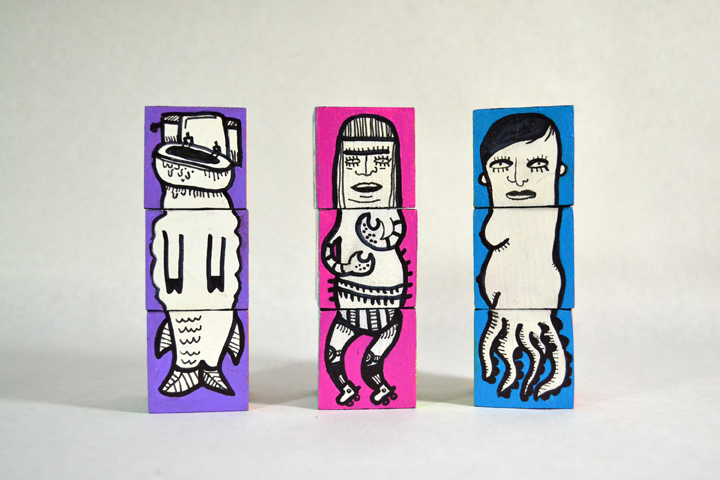 These block sets are a nod to the exquisite corpse drawing exercise. I hand painted each two inch wooden block with acrylic paint. They are super fun to combine and stack to create weird characters with. My favorite is anything with the thumb on bottom!